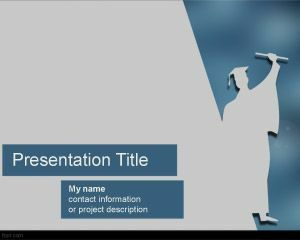 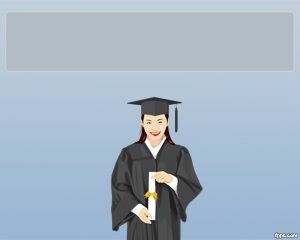 This is a free PowerPoint Template for Graduation that you can use at University or any graduation PowerPoint presentation. 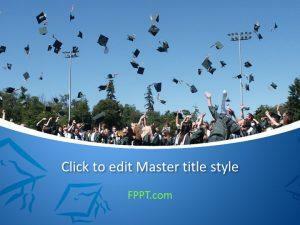 The template is free and contains a blue background with a graduated student on top. 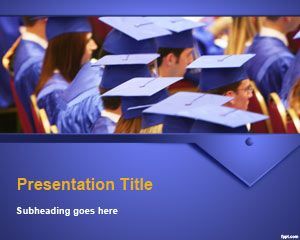 You can use this template for graduation PowerPoint presentations as well as any other student related presentation. 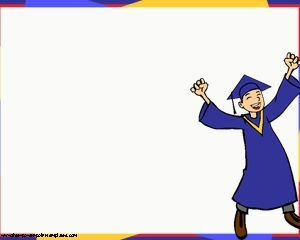 Also can be used for academic purposes or by people looking for free graduation PowerPoint templates or needing to make presentation for School. 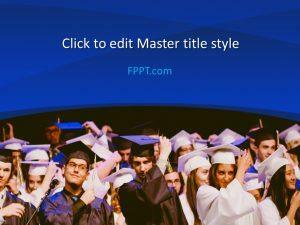 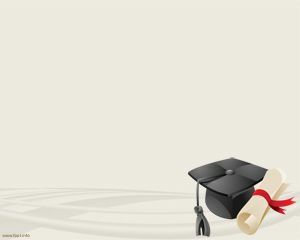 Graduation PowerPoint template contains a blue background and a graduated illustration.